As the fourth installment of the Sven Co-op map, Portal house Sector A1, B, C and D is an experiment, incorporating new enemies and allies. See the information when you start the map - "portal_house_A1_motd.txt"
- Weapon recreated from the mod "Sweet Half life" that was used by the UFOs, firing weapon without recharge/reload with plasma effect and secondary explosive shot. 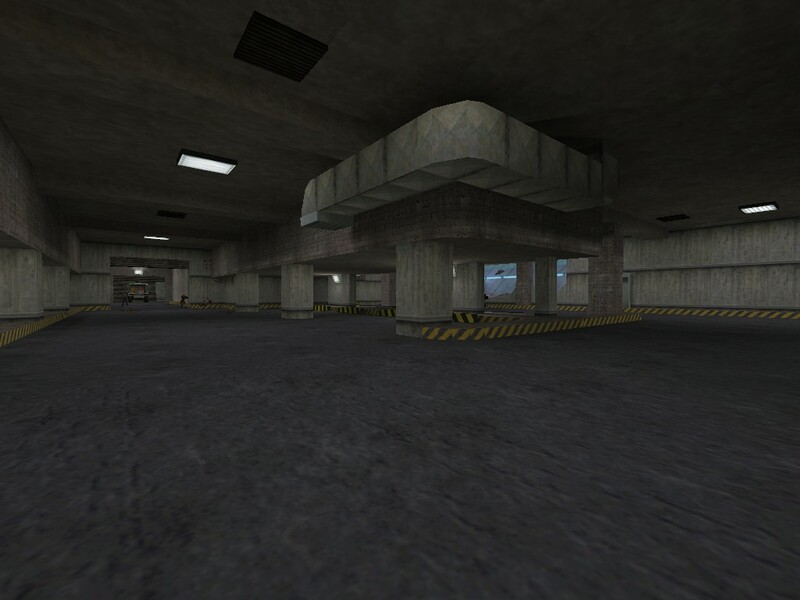 This weapon is only available on the map "portal_house_C" for both Black Mesa and Special Forces teams. - Weapon recreated from the mod "Sweet Half life" with same firepower as the "Heavy Weapon Grunt", shooting without reload (constant fire). This weapon is only available on the map "portal_house_D" for the "HECU" team. CHANGES IN THE MAP "SECTOR B"
- The platforms of the entire map were redesigned. - Kingpin was removed and replaced by Gonarch. - The enemy Crystals have been replaced by Mantas "Valemoth" with a new energy ball attack. - We added new weapons in the cave of the door of the portal when placing the crystals, weapons will appear in the cave. 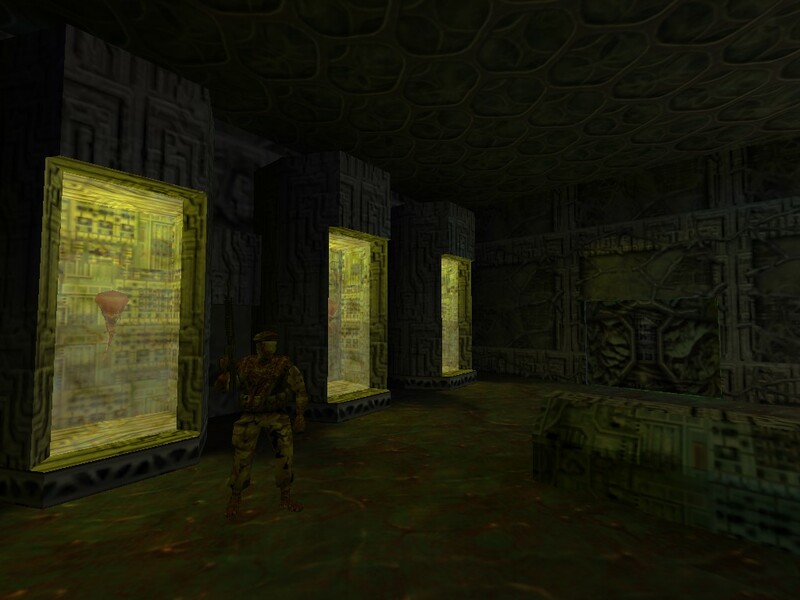 - Now to recruit allies, you only need to press the console button that is in the portal room. 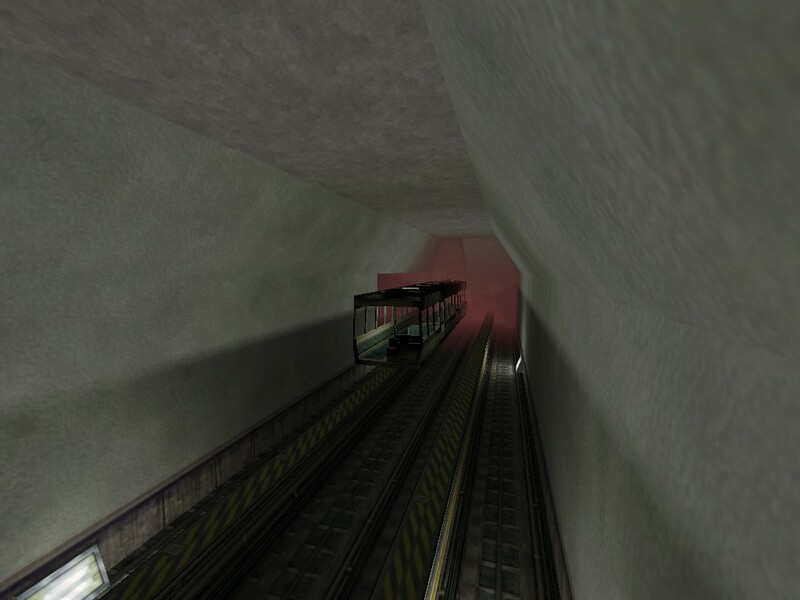 - You can now visualize the Train's HP in some monitors located on the surface of the laboratory. - The Train's HP is raised from 750 to 1000. - When using the radio, the Allied Tank will recruit soldiers to help you, also the Tank can be repaired. - When you recruit reinforcements, allies by level will also appear on the surface. CHANGES IN THE MAP "SECTOR C"
- The Sniper weapon and the Crossbow have been replaced by the Plasmagun weapon for both squads. 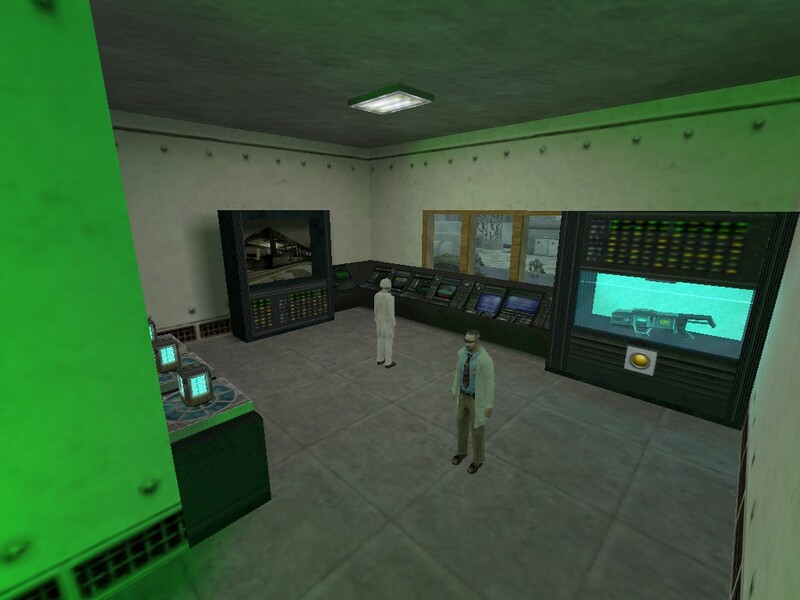 - Black Mesa team have corrected textures for the models "HEV barney" and "HEV sci". 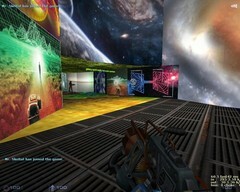 - Black Mesa team have "HEV sci" (equipped with the weapon "machine gun saw") replacing friendly "Robo grunts". - Now the ammunition boxes will have a hologram (sprite) of ammunition. CHANGES IN THE MAP "SECTOR D"
- When you start the game you will find a door on the left side that will only open with a Security Card. - The "Shock rifle" weapon was added. - The "Longjump" was moved to another location. - The entrance to the surface cave is now sealed. - The "Displacer" has been replaced by the "Minigun Vulcan" (Only available for the "HECU" team). 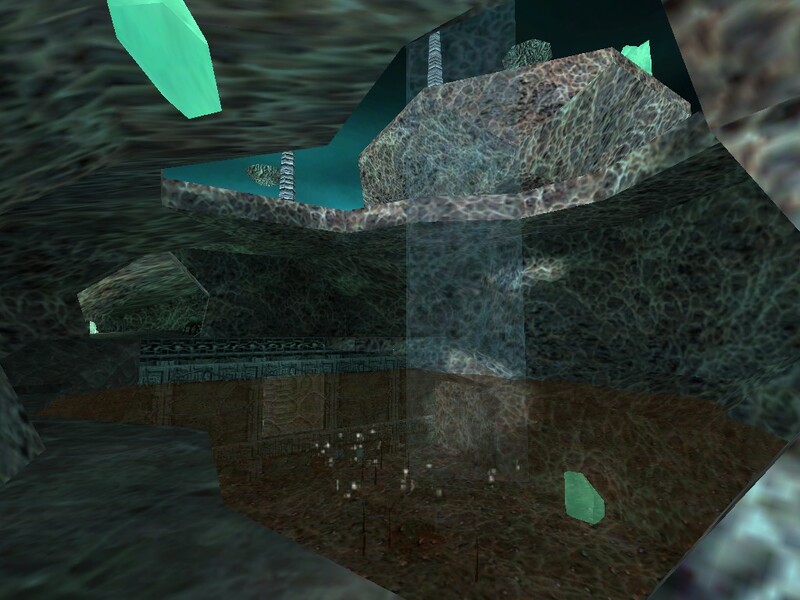 - Now when you enter the Level 1 portal, you will appear inside the surface cave. I will continue updating the map for error corrections and bug fixes. Your suggestions will be welcome in the comments and also, if you want, I can make a tutorial on Valve Hammer Editor. Como Cuarta entrega del mapa Sven coop, Portal house Sector A1, B, C y D experimenta con nuevos enemigos y aliados. -Arma recreada desde el mod "Sweet Half life" que fue usada por los UFOs, arma de disparo sin recarga con efecto de plasma y disparo secundario explosivo. 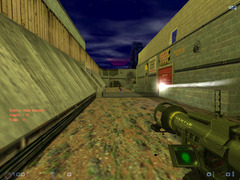 -Arma recreada desde el mod "Sweet Half life" con misma potencia de fuego del "heavy weapon", arma de disparo sin recarga. Esta arma es Solo Disponible en el mapa "portal_house_D" para el equipo "HECU"
CAMBIOS EN EL MAPA "SECTOR B"
- Se rediseño las plataformas de todo el mapa. - Añadimos nuevas armas en las cueva de la puerta del portal al momento de colocar los cristales, apareceran armas en la cueva. - Ahora para reclutar aliados, solo se necesita oprimir el boton de la consola que esta en la sala de portales. - Ya puedes visualizar los puntos de vida del Tren en algunos monitores ubicados en la superficie del laboratorio. - Al momento de usar la Radio, el Tanque aliado reclutara soldados para que te ayuden, el Tanque puede ser reparado. - Cuando reclutes refuerzos, los aliados por nivel tambien apareceran en la superficie. CAMBIOS EN EL MAPA "SECTOR C"
- Equipo black mesa se corrigieron las texturas de los modelos para los "HEV barney" y "HEV sci"
- Equipo black mesa se han removido los "Robo grunts" aliados por "HEV sci" equipados con el arma "machine gun saw"
- Ahora las cajas de municiones tendran un holograma (sprite) de municion. CAMBIOS EN EL MAPA "SECTOR D"
- Al empezar el juego se encontrara una puerta del lado izquierdo que solo se abrira con una Tarjeta de seguridad. - Se añadio el Arma "Shock rifle"
- Se movio el"Longjump" a otro ambiente. - La cueva de la superficie se ah sellado la entrada. - Ahora al momento de ingresar al portal del Nivel 1, apareceras dentro de la cueva de la superficie. sus propuestas serán bienvenidas en los comentarios y también si desean puedo hacerles un tutorial de Valve Hammer Editor. You can add the weapons too, for the players to start with them. You can add the starwars.fgd on Valve Hammer Editor if you want to use the weapons and the stormtrooper monster on your map. 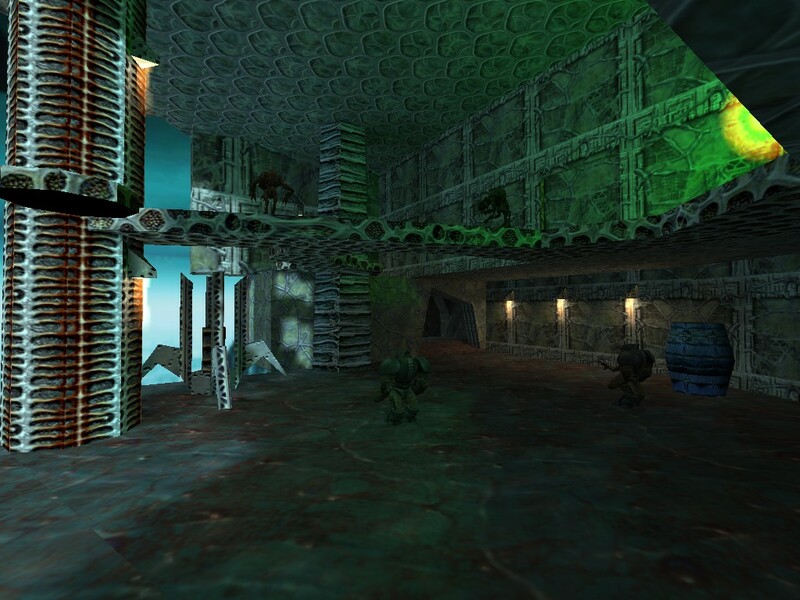 Hola soy Pierre Limaco (WAR-chorius), el creador del mapa sven coop "Portal House" Gracias por seguir mi pagina de Mod DB y por jugar mi nuevo proyecto vinculados a los Mods de half life (Azure Sheep, Sweet half life, Reisudal point, etc…) estoy trabajando para una siguiente secuela de "Portal house - Colision Letal parte 2" pediria disculpas por agregar contenidos de terceros por algunos modelos o entidades sacadas por algunos usuarios. 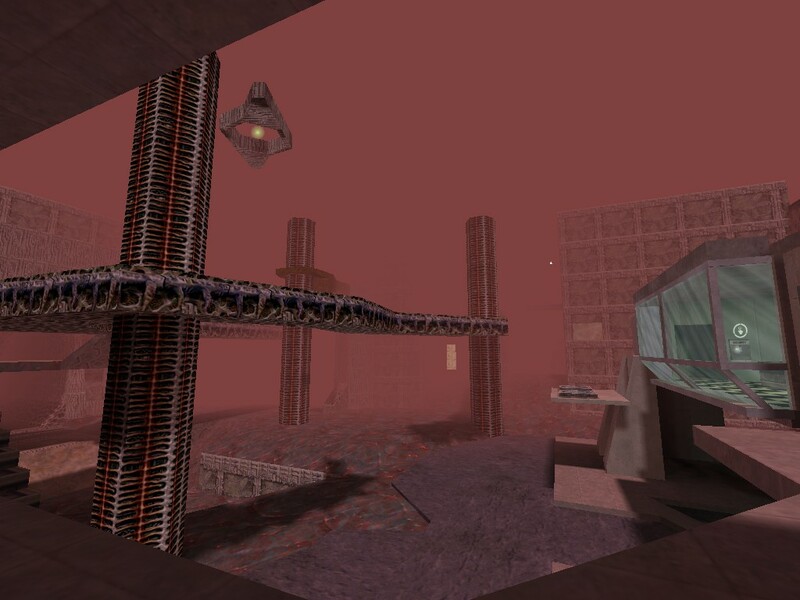 Es decir por momentos difíciles trato de sacar una recreación del mod en mi mapa "Portal House", Como habrás visto el modelo del "UFO" son imitaciones al "Alien Grunt". Por ahora agregue una neuva actualizacion en mi pagina Mod DB haciendo un cambio general a mis 4 mapas de "Portal House" y una nueva arma, la "M41A pulse riffle. 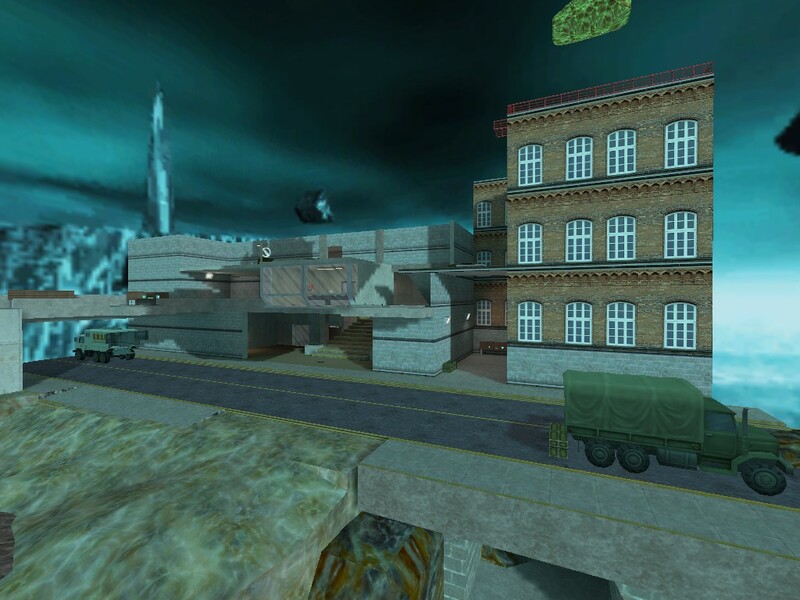 Hello I'm Pierre Limaco (WAR-chorius), the creator of the Sven Co-op map "Portal House". 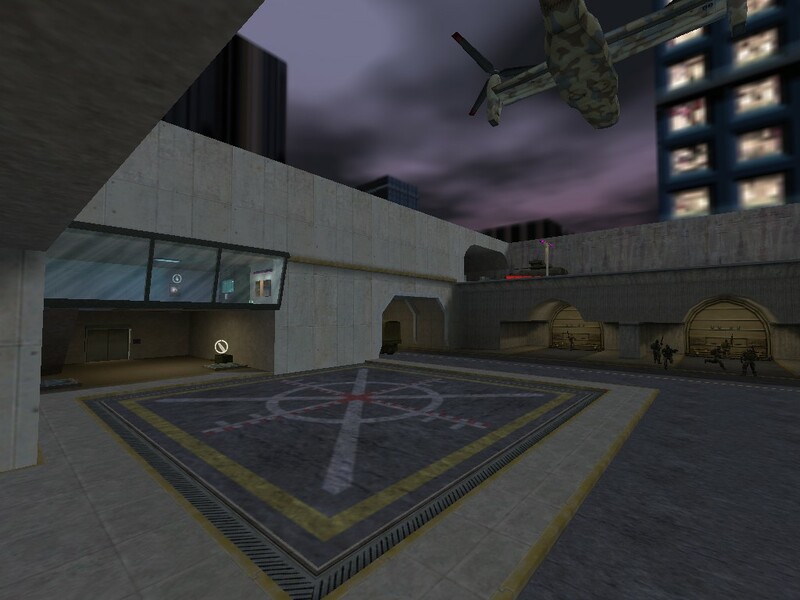 Thanks for following my ModDB webpage and for playing my new project linked to Half-Life mods (Azure sheep, sweet half-life, residual point, etc…), I'm working on the next sequel called "Portal House - Lethal Collision part 2", I want to apologize for adding third party content, models or entities taken from other users. I just want to pay homage to those mods in my map. As you can see, the alien grey (ufo) model is just an alien grunt. For now I've added a new update to my ModDB page, making general changes to all 4 current Portal House maps and added a new weapon: the m41a pulse rifle. 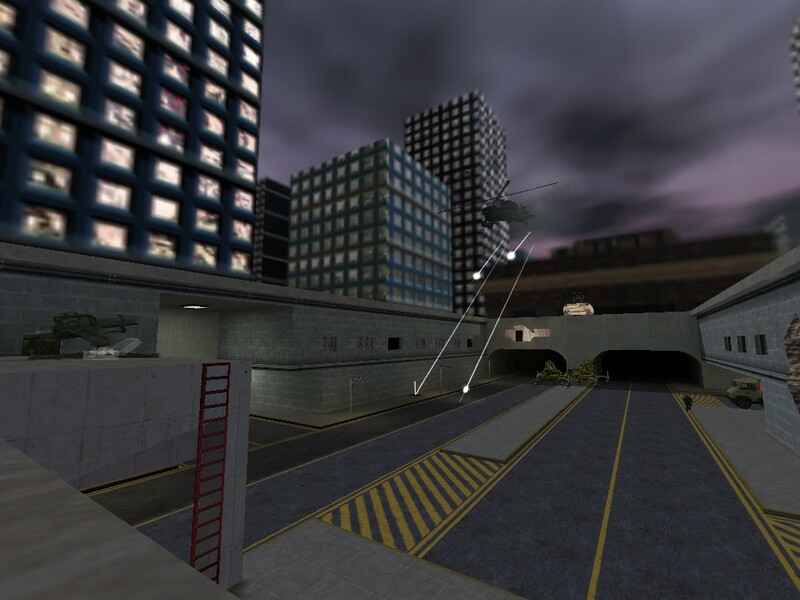 Added English description (may not be tremendously accurate) to this page, and uploaded English_version_complete.7z which contains just the bsp and motd files only, but these are now in English which makes the map series much more fun (and possible) to play. Download and extract the files, drop them on top of the original files (wherever you had put them - hopefully svencoop_addons) and choose the "over-write all" option. At the begining of each map, take the time to fully read the motd, so that you will have an actual clue what to do! If I can get hold of the author I'll see if the resource errors can be resolved. From the one map I played on a random server, I'd say definitely give this one a go! It's pretty good. Update - played all but the last map, they're epic! Great for many players, but also can be played nicely SP (XP servers only) IF you do the side-missions to activate the ally spawn sites. There is typically a Boss + horde, or object defence + object hunt missions in parallel, so it makes sense to split people up into roles, otherwise (like Toadsnatch) everyone runs off looking for things and the defense object is destroyed, ending the map. The maps themselves are very nicely balanced, some looking very good, with plenty of functionality and interesting objectives. Moderate difficulty on low-xp servers, impossible vanilla without loads of players. Much fun! Dig your mates out and give them a go. The only spoil is the many missing sprites, resulting in red errors everywhere, and missing sounds - the silent sniper is particularly nasty). …but what i don't like is the fact that some of the sprites were missing, resulting in rendering a ERROR sprite. What bothers me is the language. Like really…how are we going to tell what is going on or whats happening when the on-screen text wasn't in English? I hope someone is going to make an English patch for this map. Really good map. 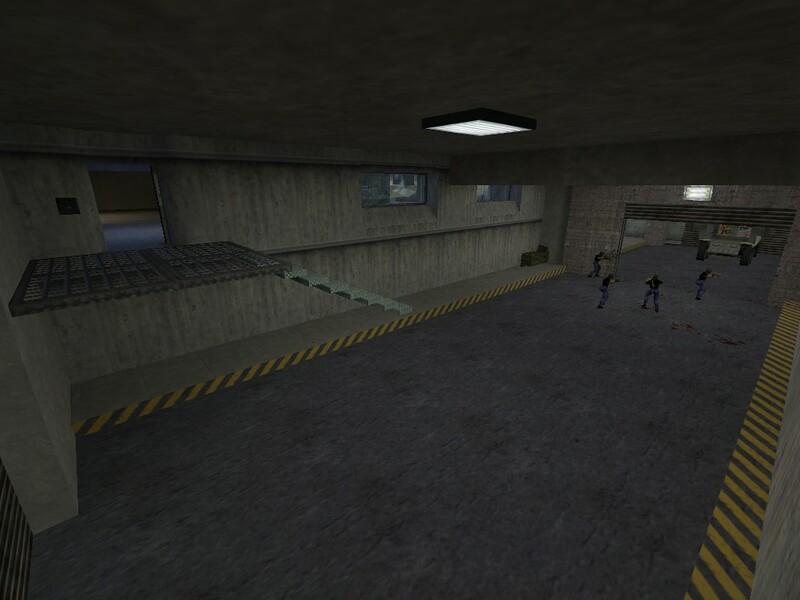 NPCs from another HL mod, plus the usable plasma gun from Sweet Half-Life. I'll take it. 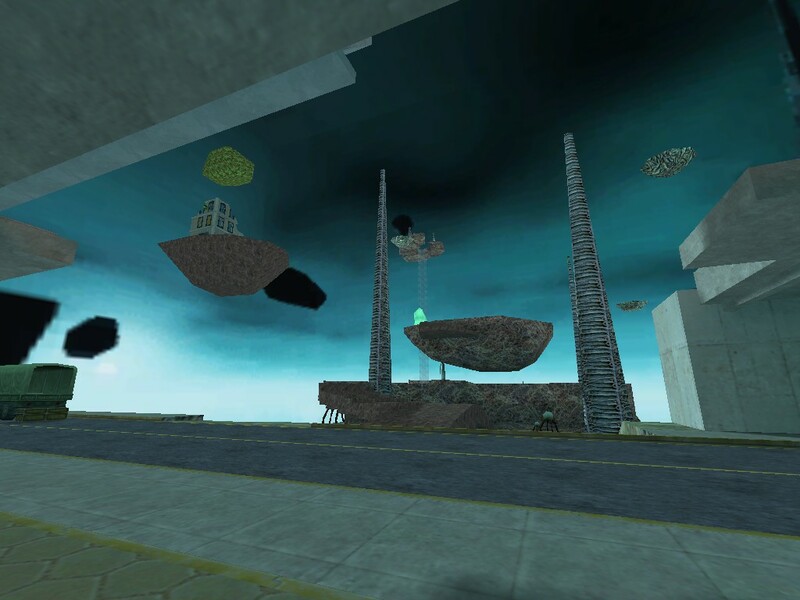 Missing content confirmed, just ran Resguy on the maps, tons of missing content and errors. If the mapper reads this, please get in touch to resolve these problems. It's definitely worth it..
For those of you who don't know spanish, I will make this little comment to talk about the map. Excellent map series with nice architecture, custom enemies (from sweet half life and point of view) and a nonsensical story, driven by objective/missions during different stages of defending certain locations, that sometimes change as players advance. A few other maps have an object hunt and boss battle type of gameplay, also while defending with the aid of several NPCs which tones down difficulty a bit if you make some side missions to summon allies or activate powerful weapons. 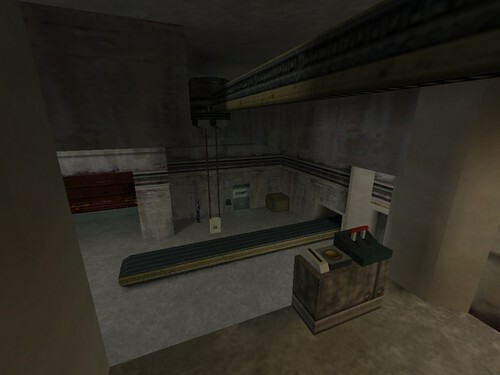 A1 - Disconnected from the other maps, this is set in Black Mesa. 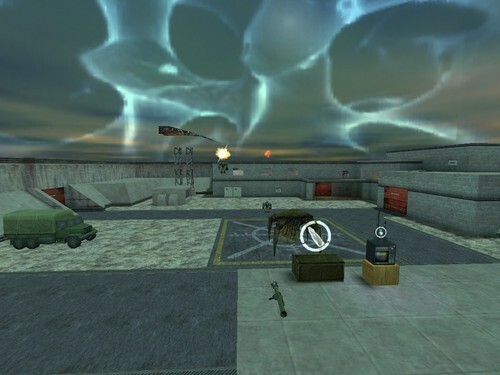 Players have to advance, find and destroy a super weaponized tank. Xonxt the friendly vort from point of view is there to help. The aliens may attack as well with their own ship, and oh boy it is nice to see. 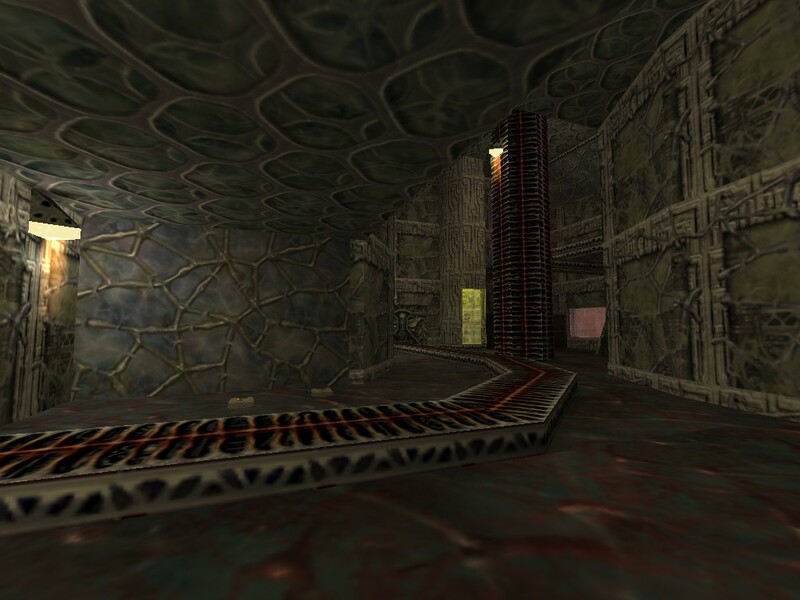 B, C, D - In these maps the players are on Xen, where parts of Black Mesa were teleported, or perhaps all of it was already built there, mixing both human and alien architecture. 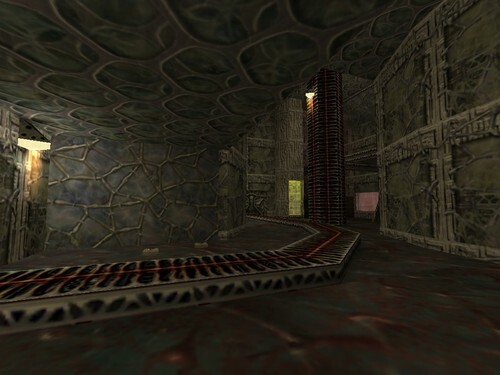 Players must advance through the facilities while defending different points as they advance and gather crystals to power up teleporters and a train to escape. In maps C and D you can choose the allies that will help you between Black Mesa personell or the SPF from point of view. The sequel to these (portal house E) is on the works as far as I know.